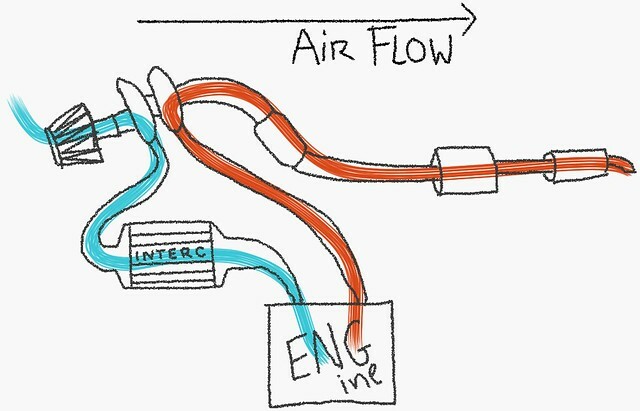 Does a stock HDI bring air into the engine as drawn below? 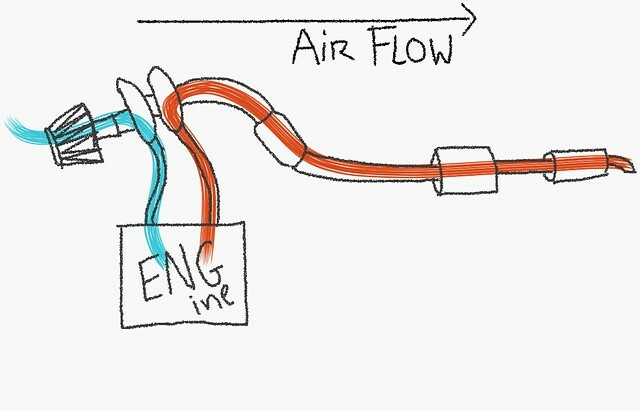 Because the air is compressed by the turbocharger, it heats up, therefore it becomes less dense - the molecules are further apart, so can fit less inside the cylinder, so cooling it back down makes the charge air denser, which means molecules closer together, therefore more oxygen in a given space, therefore can burn more fuel with the larger quantity of oxygen, thus more torks, thus more powahz. (16-05-2016, 10:45 AM)Toms306 Wrote: Oh I don't care about the stripped threads lol, that's easily solved by hammering the bolt in. Volvo V50 D5 R-Design SE Sport - Daily cruise wagon. (13-09-2018, 09:42 AM)Ruan Wrote: Yep spot on. I see people using C5 inlet stuff and 406 boost hoses is this because you have to have these parts or just to make it cheaper? The 406/C5 inlet, top hose and lower hose are just for making fitment easier as they are bent in just the right places that fit the standard engine. 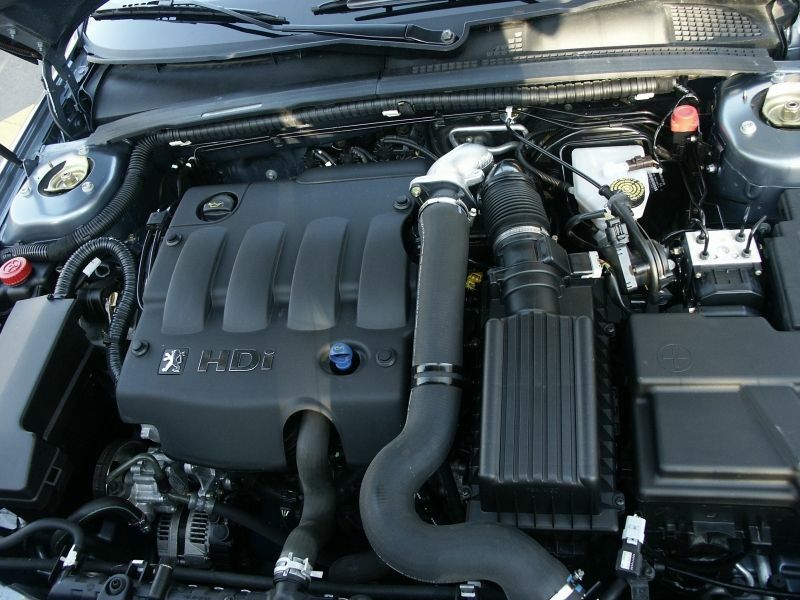 Take a look at how the system is plumbed up on a HDI110 variant in a 406/C5 and you'll see what people are on about. (13-09-2018, 10:31 AM)Ruan Wrote: The 406/C5 inlet, top hose and lower hose are just for making fitment easier as they are bent in just the right places that fit the standard engine. Is the hose running from the back of the bay over the engine and around the air box carrying the cold air from the intercooler to the engine? An then a hose presumably under the engine carries the hot air from the turbo into the intercooler? (14-09-2018, 06:15 AM)Poodle Wrote: You're still spot on. Current time: 19-04-2019, 03:20 PM Powered By MyBB, © 2002-2019 MyBB Group.